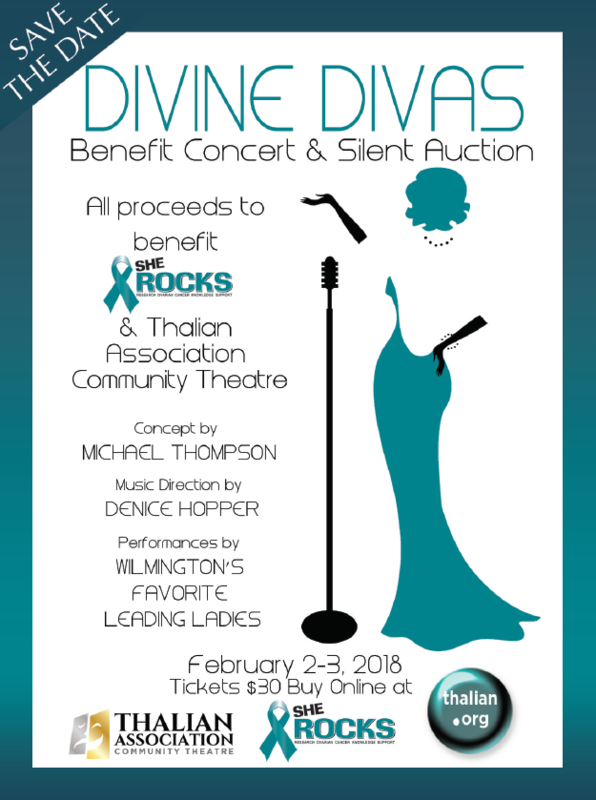 WILMINGTON, NC –Thalian Association Community Theatre (TACT) is pleased to announce the return of Divine Divas, a special two-night concert to benefit She Rocks (Research Ovarian Cancer Knowledge Support) and TACT. Divine Divas will be presented on the 2nd Street Stage in the Hannah Block Historic USO/Community Arts Center Friday February 2 & Saturday February 3, 2018 at 7:30 pm. The concerts will feature local actresses and performers from TACT Youth Theatre program delivering songs made famous by “Divas” from the entertainment industry. The show will be directed by Mike Thompson with music direction by Denice Hopper. Tickets are $30 and can be purchased below, at she-rocks.org or 910-251-1788. Popular Wilmington Community Theatre veteran Jeff Phillips will return to host both evenings. Mr. Phillips has been active on our community stage for more than 25 years, hosted the 2014 Star News Media Wilmington Theatre Awards and was the 2012 recipient for Best Actor in a Musical. The evenings will include a silent auction with fabulous jewelry, restaurant packages, yacht parties, health & beauty packages and 2D and 3D artwork available. She ROCKS was founded by Beth Quinn and Mary Barto in May 2014 after Beth was diagnosed with stage IV ovarian cancer. Because there are no screenings for ovarian cancer and a person is typically asymptomatic until it is very advanced, Beth could not have caught this disease earlier. Her best friend, Mary Barto, agreed that this was unacceptable, and the two of them partnered with another close friend, Tracy Brown, to do something about it. She ROCKS exists to bring awareness and attention to ovarian cancer through funding groundbreaking research, and by helping women who are undergoing treatment for cancer. The organization is solely committed to these pursuits and it gives every penny that it takes in toward these goals. She ROCKS believes it is our duty as women to help one another in whatever ways we are able. 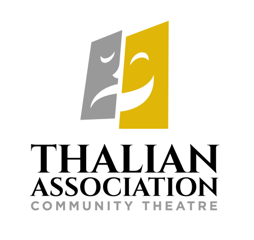 Established in 1788, Thalian Association Community Theatre is a non-profit, membership organization dedicated to enhancing the Cape Fear region through live community theatre and arts education. Thalian Association Community Theatre produces five major productions annually on the Main Stage at historic Thalian Hall and professionally manages the Hannah Block Historic USO/Community Arts Center for the City of Wilmington. The youth theatre program offers training and performance opportunities for children age seven through high school seniors. In 2007, Thalian Association Community Theatre was designated North Carolina’s Official Community Theater by the state legislature.